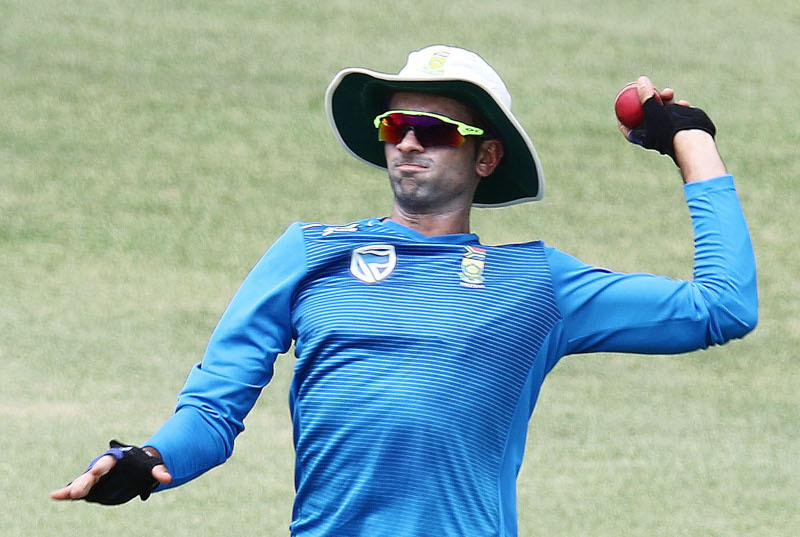 Spinner Keshav Maharaj is understandably eager to see South Africa avenge last year’s Test series defeat to Sri Lanka. The Proteas suffered a two-nil whitewash to Sri Lanka in Galle and Colombo in July 2018 – and will meet them for two more Tests in Durban and Port Elizabeth this month. ‘Whichever team comes here, we’re pretty much going to try dominate them. Especially Sri Lanka, who were really dominant against us in Sri Lanka. Now they are in our conditions, and hopefully we can put in a dominant display in the two Tests,’ said Maharaj. Maharaj was not selected for January’s second and third Tests against Pakistan in Cape Town and Johannesburg, but will likely be recalled for the spin-friendly conditions at Kingsmead and St George’s Park. ‘At Kingsmead it’s not your swing and fast bowling wicket that we were used to 10 or 15 years ago. The wicket will wear down and slow down significantly, I would say,’ he added.